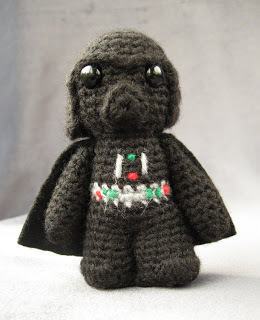 I was one of the many people who bought the popular Star Wars Crochet kit. LucyRavenscar did a great job with these designs but there were a few things I didn’t like about the patterns. A minor beef is that I thought the Luke, Hans Solo and Leia patterns were too cutesy—not gritty enough for my liking. So I didn’t make them. My other major dislike was the design of the legs. Lucy’s patterns called for a basic tube shape that you then stitch back and forth through the middle to define the legs. You can see how good hers are. Here is her Darth Vader with very well-defined legs (and an unfortunate snout-like nose, so I haven’t made this character either). No matter how I tried, I couldn’t seem to get good leg definition. So, I thought, why not just make legs? 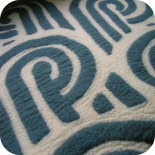 It was easy enough to adapt the patterns to add the feet and finish off. I was really pleased with these designs. I bought eyes with pupils rather than plain black. I also did a lot of Google image searching to get some of the details right—like Jabba’s nostrils and Yoda’s ears. Some things Lucy got spot-on in the pattern design like the shape of Admiral Akbar’s head. In the end I got some wire and created little stand for each figure. 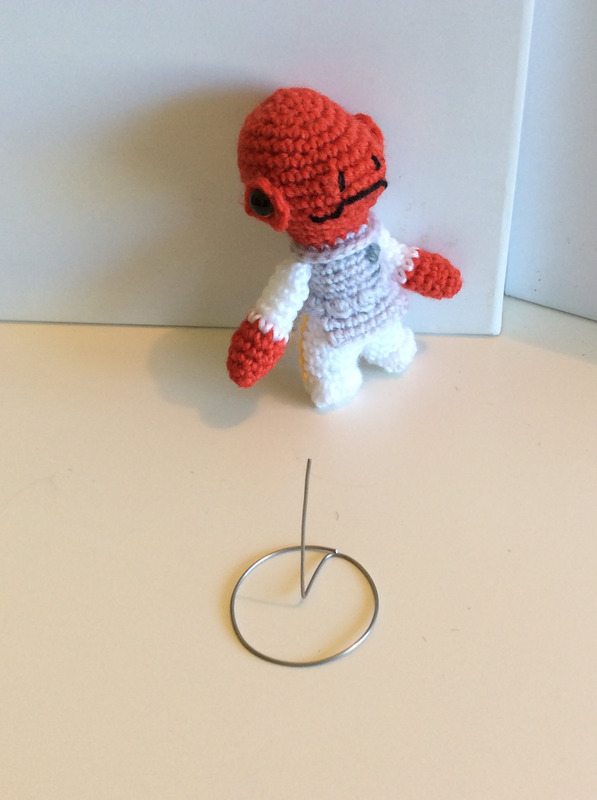 This entry was posted on 19/09/2015 by flicstar in Toys and tagged crochet, star wars.